Preschool is Not Magic. Here’s What Is. If there is one thing that everyone knows about policy-relevant research in education, it is this: Participation in high-quality preschool programs (at age 4) has substantial and lasting effects on students’ academic and life success, especially for students from disadvantaged homes. The main basis for this belief is the findings of the famous Perry Preschool program, which randomly assigned 128 disadvantaged youngsters in Ypsilanti, Michigan, to receive intensive preschool services or not to receive these services. The Perry Preschool study found positive effects at the end of preschool, and long-term positive impacts on outcomes such as high school graduation, dependence on welfare, arrest rates, and employment (Schweinhart, Barnes, & Weikart, 1993). But prepare to be disappointed. Recently, a new study has reported a very depressing set of outcomes. Lipsey, Farran, & Durkin (2018) published a large, randomized study evaluating Tennessee’s statewide preschool program. 2990 four year olds were randomly assigned to participate in preschool, or not. As in virtually all preschool studies, children who were randomly assigned to preschool scored much better than those who were assigned to the control group. But these results diminished in kindergarten, and by first grade, no positive effects could be detected. By third grade, the control group actually scored significantly higher than the former preschool students in math and science, and non-significantly higher in reading! Jon Baron of the Laura and John Arnold Foundation wrote an insightful commentary on this study, noting that when such a large, well-done, long-term, randomized study is reported, we have to take the results seriously, even if they disagree with our most cherished beliefs. At the end of Baron’s brief summary was a commentary by Dale Farran and Mark Lipsey, two the study’s authors, telling the story of the hostile reception to their paper in the early childhood research community and the difficulties they had getting this exemplary experiment published. Clearly, the Tennessee study was a major disappointment. How could preschool have no lasting effects for disadvantaged children? Having participated in several research reviews on this topic (e.g., Chambers, Cheung, & Slavin, 2016), as well as some studies of my own, I have several observations to make. Although this may have been the first large, randomized evaluation of a state-funded preschool program in the U.S., there have been many related studies that have had the same results. These include a large, randomized study of 5000 children assigned to Head Start or not (Puma et al., 2010), which also found positive outcomes at the end of the pre-K year, but only scattered lasting effects after pre-K. Very similar outcomes (positive pre-k outcomes with little or no lasting impact) have been found in a randomized evaluation of a national program called Sure Start in England (Melhuish, Belsky, & Leyland, 2010), and one in Australia (Claessens & Garrett, 2014). Ironically, the Perry Preschool study itself failed to find lasting impacts, until students were in high school. That is, its outcomes were similar to those of the Tennessee, Head Start, Sure Start, and Australian studies, for the first 12 years of the study. So I suppose it is possible that someday, the participants in the Tennessee study will show a major benefit of having attended preschool. However, this seems highly doubtful. It is important to note that some large studies of preschool attendance do find positive and lasting effects. However, these are invariably matched, non-experimental studies of children who happened to attend preschool, compared to others who did not. The problem with such studies is that it is essentially impossible to statistically control for all the factors that would lead parents to enroll their child in preschool, or not to do so. So lasting effects of preschool may just be lasting effects of having the good fortune to be born into the sort of family that would enroll its children in preschool. What Should We Do if Preschool is Not Magic? Let’s accept for the moment the hard (likely) reality that one year of preschool is not magic, and is unlikely to have lasting effects of the kind reported by the Perry Preschool study (and no other randomized studies.) Do we give up? No. I would argue that rather than considering preschool magic-or-nothing, we should think of it the same way we think about any other grade in school. That is, a successful school experience should not be one terrific year, but fourteen years (pre-k to 12) of great instruction using proven programs and practices. First comes the preschool year itself, or the two year period including pre-k and kindergarten. There are many programs that have been shown in randomized studies to be successful over that time span, in comparison to control groups of children who are also in school (see Chambers, Cheung, & Slavin, 2016). Then comes reading instruction in grades K-1, where randomized studies have also validated many whole-class, small group, and one-to-one tutoring methods (Inns et al., 2018). And so on. There are programs proven to be effective in randomized experiments, at least for reading and math, for every grade level, pre-k to 12. The time has long passed since all we had in our magic hat was preschool. We now have quite a lot. If we improve our schools one grade at a time and one subject at a time, we can see accumulating gains, ones that do not require waiting for miracles. And then we can work steadily toward improving what we can offer children every year, in every subject, in every type of school. No one ever built a cathedral by waving a wand. Instead, magnificent cathedrals are built one stone at a time. In the same way, we can build a solid structure of learning using proven programs every year. Chambers, B., Cheung, A., & Slavin, R. (2016). Literacy and language outcomes of balanced and developmental-constructivist approaches to early childhood education: A systematic review. Educational Research Review 18, 88-111. Claessens, A., & Garrett, R. (2014). The role of early childhood settings for 4-5 year old children in early academic skills and later achievement in Australia. Early Childhood Research Quarterly, 29, (4), 550-561. Melhuish, E., Belsky, J., & Leyland, R. (2010). The impact of Sure Start local programmes on five year olds and their families. London: Jessica Kingsley. Puma, M., Bell, S., Cook, R., & Heid, C. (2010). Head Start impact study: Final report. Washington, DC: U.S. Department of Health and Human Services. Schweinhart, L. J., Barnes, H. V., & Weikart, D. P. (1993). Significant benefits: The High/Scope Perry Preschool study through age 27 (Monographs of the High/Scope Educational Research Foundation No. 10) Ypsilanti, MI: High/Scope Press. In education research, a “sleeper effect” is not a way to get all of your preschoolers to take naps. Instead, it is an outcome of a program that appears not immediately after the end of the program, but some time afterwards, usually a year or more. For example, the mother of all sleeper effects was the Perry Preschool study, which found positive outcomes at the end of preschool but no differences throughout elementary school. Then positive follow-up outcomes began to show up on a variety of important measures in high school and beyond. Sleeper effects are very rare in education research. To see why, consider a study of a math program for third graders that found no differences between program and control students at the end of third grade, but then a large and significant difference popped up in fourth grade or later. Long-term effects of effective programs are often seen, but how can there be long-term effects if there are no short-term effects on the way? Sleeper effects are so rare that many early childhood researchers have serious doubts about the validity of the long-term Perry Preschool findings. I was thinking about sleeper effects recently because we have recently added preschool studies to our Evidence for ESSA website. In reviewing the key studies, I was once again reading an extraordinary 2009 study by Mark Lipsey and Dale Farran. The study randomly assigned Head Start classes in rural Tennessee to one of three conditions. 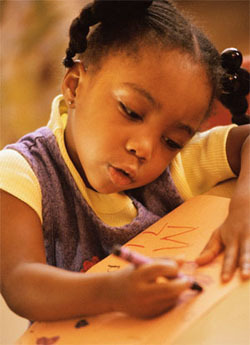 Some were assigned to use a program called Bright Beginnings, which had a strong pre-literacy focus. Some were assigned to use Creative Curriculum, a popular constructive/developmental curriculum with little emphasis on literacy. The remainder were assigned to a control group, in which teachers used whatever methods they ordinarily used. Note that this design is different from the usual preschool studies frequently reported in the newspaper, which compare preschool to no preschool. In this study, all students were in preschool. What differed is only how they were taught. The results immediately after the preschool program were not astonishing. Bright Beginnings students scored best on literacy and language measures (average effect size = +0.21 for literacy, +0.11 for language), though the differences were not significant at the school level. There were no differences at all between Creative Curriculum and control schools. Where the outcomes became interesting was in the later years. Ordinarily in education research, outcomes measured after the treatments have finished diminish over time. In the Bright Beginnings/Creative Curriculum study the outcomes were measured again when students were in third grade, four years after they left school. Most students could be located because the test was the Tennessee standardized test, so scores could be found as long as students were still in Tennessee schools. On third grade reading, former Bright Beginnings students now scored significantly better than former controls, and the difference was statistically significant and substantial (effect size = +0.27). In a review of early childhood programs at www.bestevidence.org, our team found that across 16 programs emphasizing literacy as well as language, effect sizes did not diminish in literacy at the end of kindergarten, and they actually doubled on language measures (from +0.08 in preschool to +0.15 in kindergarten). If sleeper effects (or at least maintenance on follow-up) are so rare in education research, why did they appear in these studies of preschool? There are several possibilities. The most likely explanation is that it is difficult to measure outcomes among four year-olds. They can be squirrely and inconsistent. If a pre-kindergarten program had a true and substantial impact on children’s literacy or language, measures at the end of preschool may not detect it as well as measures a year later, because kindergartners and kindergarten skills are easier to measure. Whatever the reason, the evidence suggests that effects of particular preschool approaches may show up later than the end of preschool. This observation, and specifically the Bright Beginnings evaluation, may indicate that in the long run it matters a great deal how students are taught in preschool. Until we find replicable models of preschool, or pre-k to 3 interventions, that have long-term effects on reading and other outcomes, we cannot sleep. Our little sleepers are counting on us to ensure them a positive future. 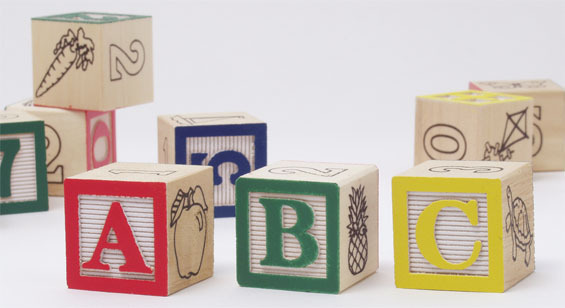 Preschool is good for disadvantaged children. But is preschool alone sufficient to significantly reduce poverty and inequality? Like many researchers, I’m delighted about the current enthusiasm for preschool at the policy level, and would not want to throw cold water on it. Yet almost all studies of garden-variety replicable preschool programs show that the clear positive effects of preschool in the early grades fade as children go through elementary school. This should not be a cause for despair, but rather for realism about how to help children succeed all the way through to adulthood. If preschool is seen as the first step in a multi-step societal strategy, it is worthy of all the attention and investment it is currently receiving. If we’re counting on preschool alone to solve all problems, we’re just not being serious. Isabel Sawhill and Quentin Karpilow at the Brookings Institution recently issued a paper making exactly this point, and illustrating it with evidence. They argue for intervening early and often rather than once and done. To support their position, they take proven, replicable programs that are readily available and imagine that government provided disadvantaged children with all of them in sequence, from early childhood to adolescence. Sawhill & Karpilow start with a gap in “success rates” at various ages between children born into families living above or below 200 percent of the poverty line. The gap in chances of entering the middle class is 20 percentage points at age 40. According to the authors, preschool participation plus the HIPPY parenting program could reduce a 22 percent “success gap” at school entry by 14 percentage points. Yet this falls to 5 points by middle childhood, 3 points by adolescence, and 2 points by middle age. By this analysis, preschool is necessary but not sufficient to significantly reduce inequality. Sawhill and Karpilow then (statistically) added in our Success for All program plus social-emotional learning interventions in elementary school. They also added in the Talent Development high school model. The final result, by their estimates, was an elimination of the poverty gap in early and middle childhood. By adulthood, these interventions were estimated to reduce the 20-point success gap by 15 percentage points. The exact size of the gap reduction is speculative, of course, but it’s the thinking that matters here, not the specifics. It never made sense that one big inoculation in preschool would set up a child for success throughout his or her life. Poverty isn’t like polio, which can be cured in one treatment. The factors that lead to a child being in a disadvantaged family at preschool are likely to persist afterwards, and top-quality education is needed at every age to help children overcome effects of poverty. Seen as a good start in a series of proven approaches appropriate to children’s needs from preschool through high school, preschool makes good sense. But if we fail to follow up with effective programs for the elementary and secondary grades, we will still have a lot of unnecessary inequality when today’s toddlers become tomorrow’s taxpayers.